WF is looking for sign-ups for the inaugural Auction Elite Wrestling DRAFT. The more participants the merrier! As the title suggests, the game will operate under an auction format. You will be asked to submit bids on approx. 10 lists of around 35 wrestlers each. You are free to bid as much or little as you want, on whichever wrestlers you want - provided you do so in increments of $1m. Our lists will be posted at regular intervals over the coming weeks. The LIST phase will be followed by TWO free agent rounds. 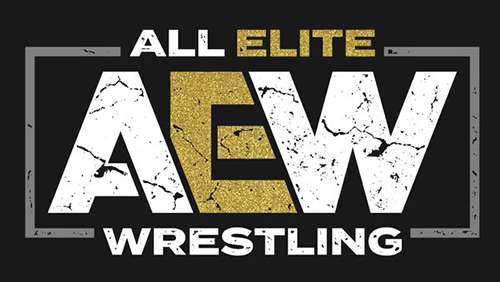 All DRAFT activities WILL be completed in the period between now and the commencement of the AEW 'Double or Nothing' PPV on May 25th. Unlike previous games, this DRAFT is set in the current day. This means that the talent you select MUST be used in something akin to their current state (e.g. Kamala has no legs). - Each player should aim to reach a minimum roster limit of 30 athletes. - You will notice some wrestlers will have asterisks (*) beside their name on the list. These individuals come with HIDDEN CHARACTERS, who will be revealed only after drafting them. - Hidden talents WILL be counted towards your total roster size. - All wrestler values are undefined, fluctuating and dictated only by the market and the draft participants themselves. - Usual rules apply regarding DROPPING unwanted talent in return for a 50% rebate etc. - In the event of tied bids, priority will be given to the bidder who submitted their offer earliest. - Rewarding PUNCTUALITY will be a general rule of this DRAFT. As will DEMOCRACY, with polls used to solve tricky disputes. SHIRLEY would like to ask that some of the more seasoned DRAFT participants take a pro-active role in helping to police the DRAFT. Please assist each other with missed tags, noob questions and other such easily-resolved issues. Finally, the only restriction on your creativity is that you MUST produce an AEW-branded card. This game will begin no later than 25th April. Last edited by SHIRLEY; Today at 05:35 PM. I'll give it a go. Not done one of these before, so apologies in advance if I have no idea what I'm doing. At least I'll be able to spam the Moyes meme. I'm in but I can't use internet for multiple hours of most weekdays so I can't promise I'll catch every turn I'm supposed to. I'm sure the fact I've never participated in something like this will help too. It's an auction draft so there won't be turns. It'll be a series of lists to bid on and you'll probably have 36/48 hours per list.